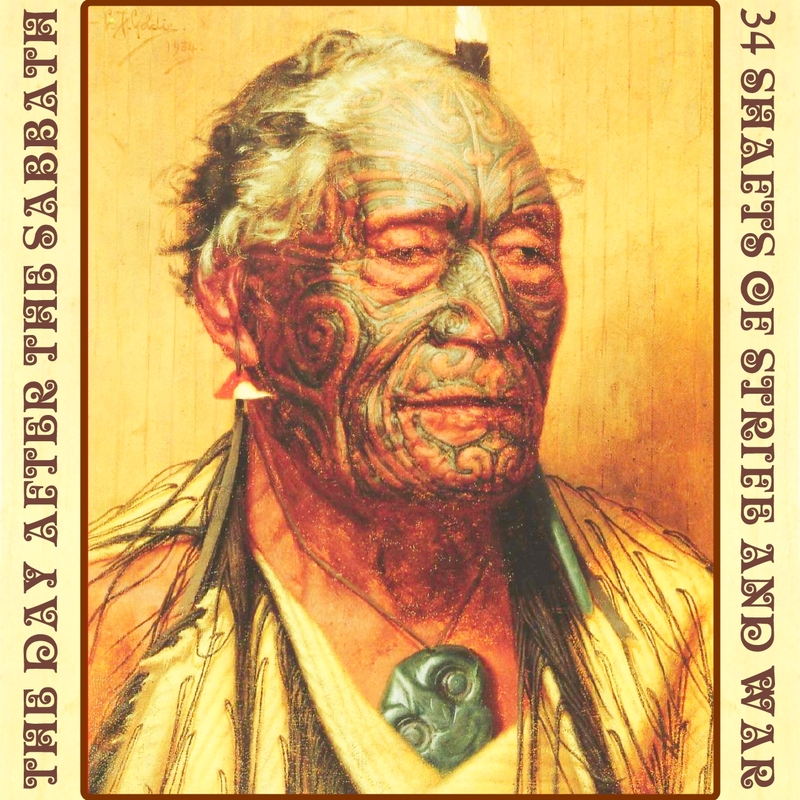 This is a re-issue of Volume 34, a New Zealand special I did some time ago that has been unavailable for a long time. [Since then I have made a second NZ comp: Volume 90] I have added an extra track to this one, another from The La De Da's, and a lot more information on the bands. A special thanks must go to Bruce Sergent who's site has an amazing directory of NZ rock. I have also improved the cover art, it's a portrait by NZ artist Charles Goldie (1870-1947) of Tāmati Wāka Nene, a successful Maori chief who was influential in affairs during the signing of the Treaty of Waitangi in 1840. I still get a lot of requests to re-up this so here it is, and it has spurred me into action to look at New Zealand again...I have another hour's worth of new tracks now so expect the second NZ volume very soon indeed! If you are are interested in things Antipodean, check out the two Australian volumes I have done so far; 21 and 80. Being a remote country with small population, the scene's pool of talent tends to blend with larger countries like Australia, America and the UK, where many artists were drawn to further their prospects for success. While there was very little of the heavier stuff I usually look for around in NZ at the time, there was plenty of good-ol' rock and roll, and certainly a number of guitarists influenced by Hendrix. It turns out one of most aggressive tracks here is one of the oldest, in Bluestar's 60s punky psych anthem 'Social End Product'. Similarly to Australia, the Yes/Genesis styles of progressive rock were very rare too. The closest examples I have found so far were Living Force (on here) and two more; Airlord and Think, who will both be on the next NZ volume. Due to it's secluded location it often took a long time for the heavier or less-commercial sounds to filter down, many big 70s artists like Led Zep and Sabbath had been established for years before they first visited the country to play live. 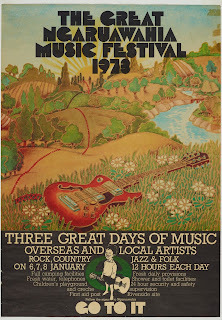 The first major outdoor event, The Great Ngaruawahia Music Festival, was not until 1973, but it was a good one....with Black Sabbath and Fairport Convention as the big international head-liners. Two of the artists appearing in this comp were also there, The Human Instinct's Billy TK (with The Powerhouse) and The La De Da's, along with others that I will include in the next NZ comp; Butler and Mammal. Ticket (on this comp) were billed but apparently didn't play, according to Wikipedia: "Ticket never appeared. They were scheduled to appear and to tour Australia and Canada with Black Sabbath but singer Trevor Tombleson had a throat infection and guitarist Eddie Hansen's 'beloved yellow rig' was blown up by Sabbath's guitarist [Tony Iommi] who was using it onstage without permission. Hansen refused to go on after that." A quote from JPJ audio's site, who appear to have worked on the stage sound: "The Great Ngaruawahia Music Festival was held over 3 days. between the 6th and 8th of January 1973. It was the first major music festival held in New Zealand and attracted over 18,000 people. The venue, a farm about 3km north of the town centre, was a a natural amphitheatre and a perfect outdoor rock concert venue". Young festival promoter, Barry Coburn, recounts memories of Black Sabbath's cross-burning antics in an NZ Herald article here, and the full-size poster can be seen here. 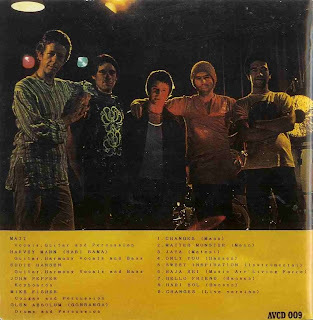 from album "la de da's"
Jesse Harper, who bookends this volume with two excellent Hendrixian tracks, was a pseudonym of Doug Jerebine, who started out in a number of underground NZ bands like The Brew. He recorded his (not released at the time) 1969 solo album 'Guitar Absolution in the Shadow of a Midnight Sun' during a stint in the UK, while there he played bass with Jeff Beck and formed the World Band with another Kiwi Mike Donnelly on drums. It's also said he played with Andromeda (see Vol51) too. I found a recent article here, that mentions his 1973 move to India where he bacame a Krishna monk for almost 30 years, and some words from the man himself here. There's also a 2012 interview with the man himself here. Ticket were one of NZ's early prog/psych bands that had success in Australia too, where they supported Black Sabbath's first tour. They were started in Auckland by drummer Ricky Ball (Ex-Challenge, Ex-Beatboys, Ex-Courtiers) and guitarist Eddie Hansen (Ex-Challenge, Ex-Revival). 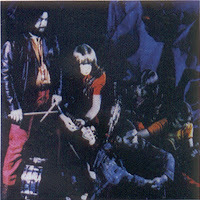 They relocated to Christchurch and fully developed their progressive psych sounds to the point at which they were ready for a stint in Australia, where they held a month-long residency in Sydney's Whiskey-Go-Go. They stayed in Oz longer than planned and recorded their second album "Let Sleeping Dogs Lie" there. They split in 72 after returning to NZ, reportedly due to Eddie needing a break from the rock n'roll excesses that were typical of the times. Ball, Hansen and Paul Woolright all played on Lindsay Marks' eponymous 1973 album. Ball was briefly in Band of Light (Vol54) before converting to Hare Krishna and joining Living Force (here later) with Harvey Mann. Ticket have played some reunion shows in NZ, very recently with other classic bands Dragon and Hello Sailor. Dave Miller is a kiwi who moved over to Australia after leaving Christchurch's 'Dave Miller and the Byrds'; "...one of the best R&B cover acts to appear in the early sixties, faithfully reproducing all manner of Chuck Berry and Chicago blues originals on stage." and initially formed The Dave Miller Set. After they split three of them formed Blackfeather (Vol8). Leith Corbett (Ex-"Heart n' Soul"), another Kiwi, soon abandoned Blackfeather to work with Miller again on the 'Dave Miller/Leith Corbett and Friends' 1970 album ‘Reflections Of A Pioneer’ which '353527 Charles' is taken from. It's a varied album ranging from fuzzy psych, to contemplative instrumentals to hard rocking blues. The Brew links us to another band here, The Underdogs, whose guitarist Harvey Mann played with Doug Jerebine while in The Brew together. They evolved in Auckland from the Underground Blues Band in 1966. and quickly acheived a reputation as a wild live act. They played on the national TV pop show "C'mon!" and lasted until 1970 (with a brief late-70s reformation) after many lineup changes and an unsuccesful relocation to Wellington. 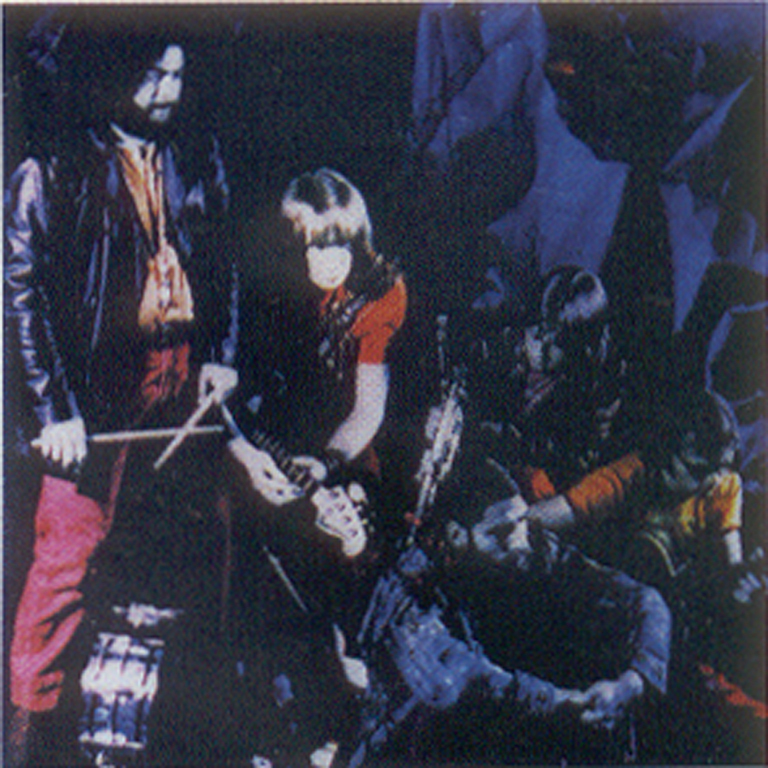 Many members moved on to other notable bands, some of which also appear on this comp; singer Murray Grindlay went on to an incarnation of Cruise Lane (appearing on the next NZ volume), bassist Neil Edwards was in Human Instinct (this volume and Vol3) and Headband (next NZ volume), Harvey Mann later lead Space Farm (this volume) and Living Force (this volume) and finally drummer Glen Absolum played with Ticket (coming next). The La De Da's formed in Auckland in 1963 (first as The Mergers). They enjoyed reasonable success in both New Zealand and Australia, spanning the decades and changes in rock sounds, until their split in 1975. I have included two tracks here, the first is from their earlier pop psych days in NZ, and as a demonstration of how they changed, the next track is from their final album which was recorded in Australia after they had adopted the prevalent boogie blues style of bands like Chain and Buster Brown. Original guitarist extraordinaire Kevin Borich continued after the La De Da's with Kevin Borich Express and The Party Boys, won many Australian awards and played with many notable names like Renee Geyer (see Vol71). 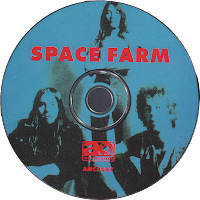 Space Farm were formed by Harvey Mann (Underdogs, Ticket) and Glen Absalom (ex-Underdogs) with bass player Billy Williams. 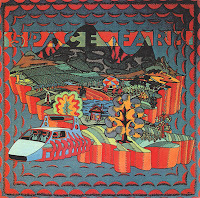 They started out as 'The Australasian Rock Squad' and recorded one eponymous album in 1972 which 'Space Farm' is taken from. A great outfit playing hard rock / power trio sounds. The full line-Up was Glen Absolum (Drums), Harvey Mann (Guitar), Billy Williams (Bass Guitar) and Bob Gillett (Saxophone). 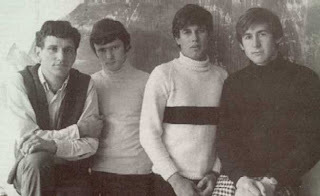 In February 1971, when the Underdogs, whom at that time consisted of Harvey Mann, Glen Absolum and Neil Edwards, released their "Wasting My Time" album, and it failed to sell in great numbers, Neil Edwards decided to leave the group and join Human Instinct. Harvey and Glen added a new bass guitarist, Billy Williams, and to beef up the sound, Bob Gillett was added on saxophone. Also required was a new name, so they became the Australasian Rock Squad. Bob Gillett had been playing with Breeze prior to joining. Billy Williams came from Classic Affair. 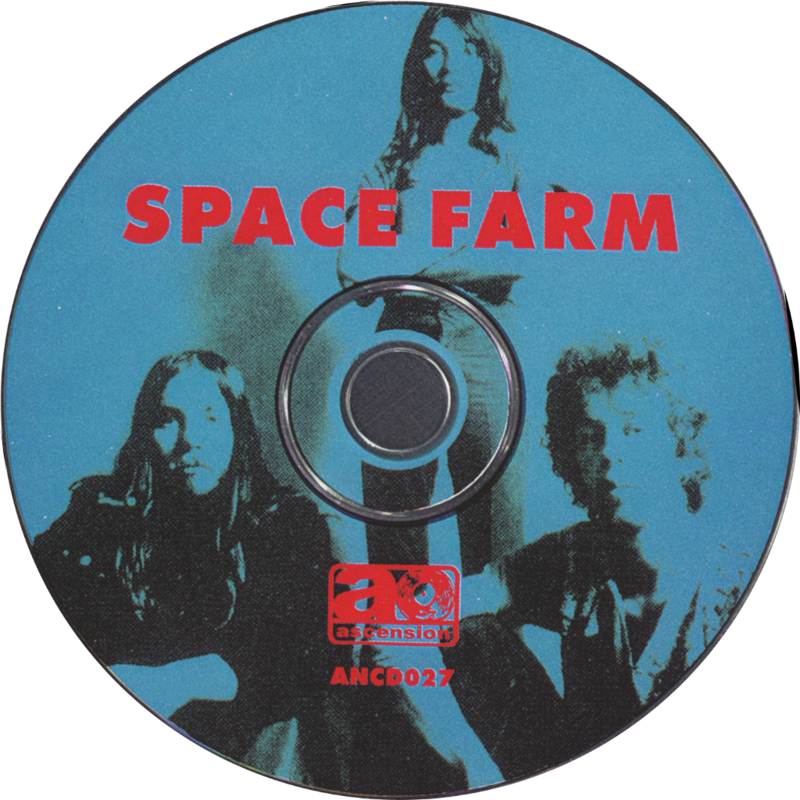 In September 1971, Gillett decided to become a part-time member of the group, so they rechristened themselves Space Farm. Space Farm only recorded one album for Zodiac. It was self-titled and released in 1972. This album was re-issued on the Little Wing label in 1989 under the name "Going Back To Eternity". 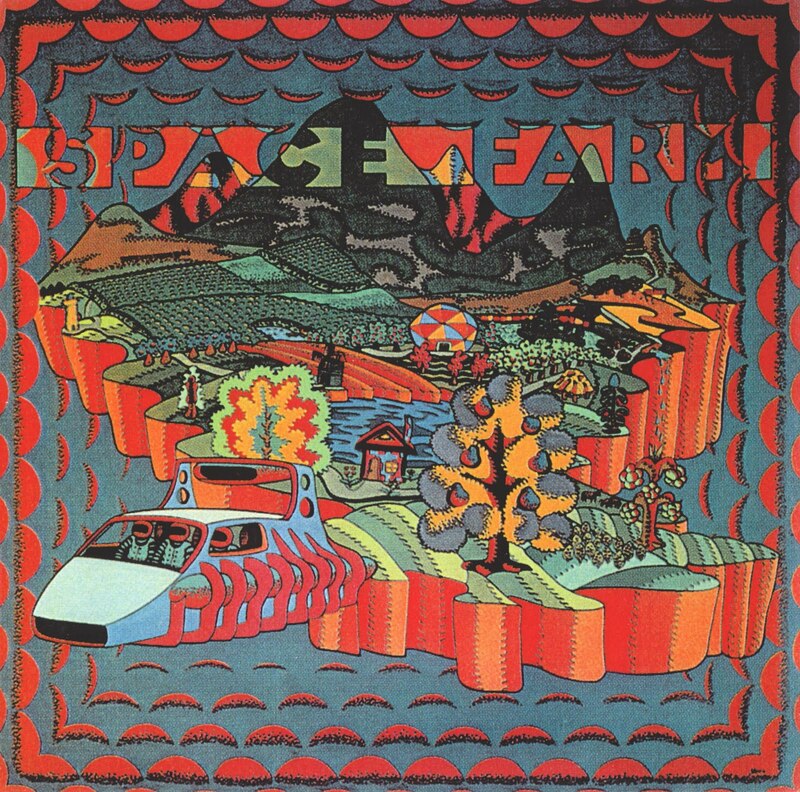 The album was largely ignored by the public, but Space Farm continued to pull crowds and they remained at the forefront of the underground movement until their demise in 1973. Towards the end of the band, there had been drastic changes within. Harvey began to forego drugs and alcohol and these changes were reflected in his song writing and performances. After the group ended, Harvey took a sabbatical and when he returned to the scene it was as a member of the Krishna faith. He later joined Living Force with Glen. Billy Williams joined Ticket and Blerta before heading to Australia and great success in a number of Australian groups. In 2000 Ascension Records released their original album on CD. 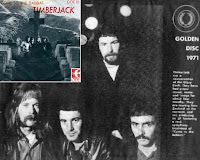 Timberjack's track is unbridled, ridiculous fun, with great flute and string section production. They evolved from Wellington's Dizzy Limits and were a short-lived band that achieved chart success and infamy with their 1971 cover of Black Widow's 'Come To The Sabbat'. It reached number 7 on the national charts and was a Loxene Golden Disc finalist, which caused outrage from staunch church-goers. 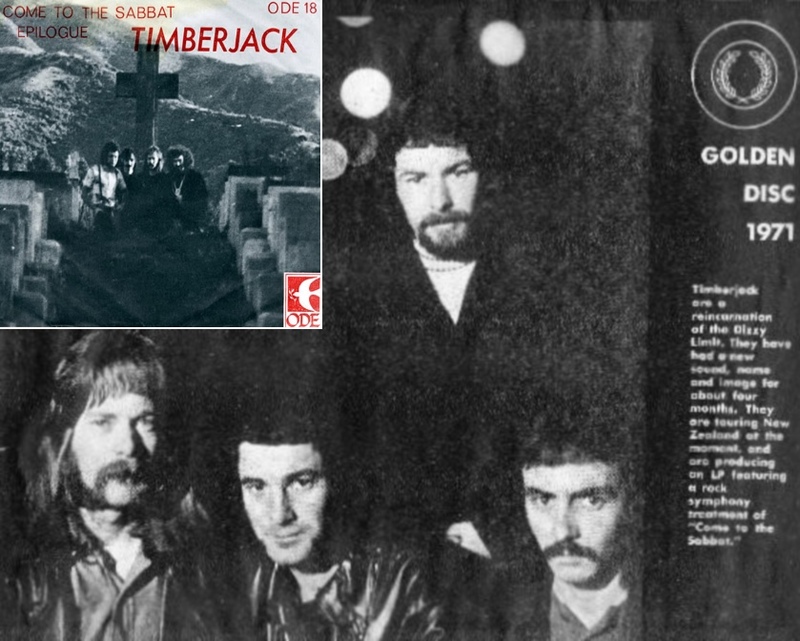 With good sales, no doubt spurred-on by the controversy, Timberjack seemed set for a full-scale attack on the country, but "Sabbat" was both highlight and swansong for the group. They split up before the year was out. Extensive Dizzy Limits and Timberjack information, with interviews, can be found here. 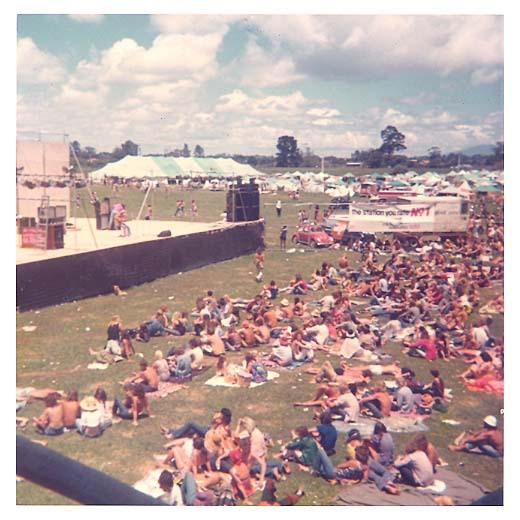 Farmyard were a Wellington group who were around only for a short time from 1970 to 1971. The lineup was: Rick White (Rhythm Guitar/Vocals), Tom Swainson (Drums), Milton Parker (Lead Guitar), Andy Stevens (Saxophone) and Paul Curtis (Bass Guitar). Rick White, previously of the Relics and Tom Thumb, started with the group but was later replaced by Bernard Lee. Their first single for Polydor in 1970 was "Learnin' 'bout Living"/"Da Woirks". It was successful enough to gain entry in to the 1971 Loxene Gold Disk Awards. A self-titled album was also released and came in a plastic bag with a poster. A second single "Nothing's Happening Here"/"Me, The Dog, Ma And Dear Ol' Dad" also came out in 1970 and was included on their second album called "Back To Fronting" released in 1971. 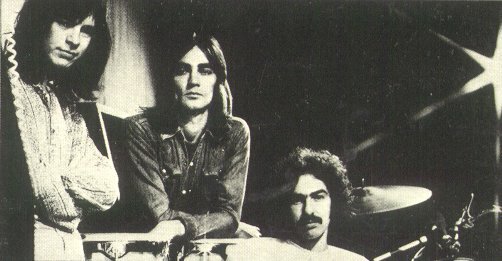 Their third and last single was "Which Way Confusion Part 1"/"Which Way Confusion Part 2", taken from their first album and appeared during 1971. Both of their albums were repackaged in 1991 into a double album called "Looking For A Place" on the Little Wing label. 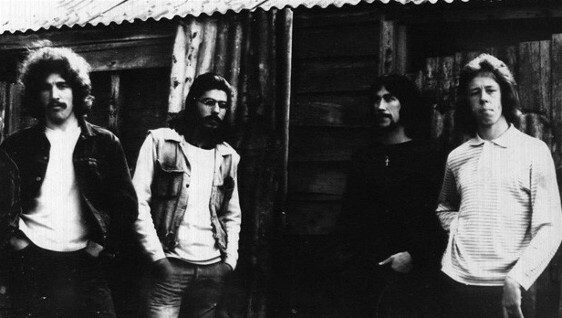 After Farmyard disbanded, Tom Swainson joined Wellington underground band Arkastra in February 1972, and Redeye in 1976. The Bluestars began life as the Nomads around 1961. Murray Savidan and Roger McClay were school friends at Auckland Grammar, where they played at school concerts. John Harris was recruited on drums and his friend Rick van Bokhoven joined as a singer. When Roger McClay left the group in early 1964, a reshuffle moved Savidan to bass, Harris to lead guitar and van Bokhoven to rhythm guitar. A new recruit was Jim Crowley, who took over the role of drummer. At this point they changed their name to the Bluestars, the line now being: Rick van Bokhoven (Rhythm Guitar/Vocals), John Harris (Lead Guitar/Vocals), Murray Savidan (Bass/vocals) and Jim Crowley (Drums). Modeling themselves on the Shadows style of music, they started playing at church and youth group dance engagements, but after hearing the Beatles first album, they made a major change to their style of music. This proved successful and they started selling out venues around Auckland's eastern suburbs. While the majority of the music was covers, they did do some original stuff and in 1964 they were invited to record a couple of these as demos for Eldred Stebbing's Zodiac Records. Nothing seemed to come from this, so they continued playing the suburban dance circuit, steering clear of the inner city clubs. Still wanting to release a record, they engaged Terry Hayman as their recording manager. Terry claimed to have contacts at Decca Records in London. He was right, and he got them signed to Decca, making the Bluestars the first New Zealand group to score a debut record contract in Britain. They still didn't actually have anything recorded, so Hayman arranged for NZBC engineer Wahanui Wynyard to record some songs at the Radio Theatre in Auckland. Four songs were recorded during the session. They were "Please Be A Little Kind", "I Can Take It", "Just Fell In Love With You" and "Baby Come Home". Although a rushed session, a tape was still sent off to England. Decca obviously liked what they heard, as they released a single of "Please Be A Little Kind" backed with "I Can Take It" in December 1965. The single was released in Britain and the Continent, as well as the US, Japan and Australia. Whilst getting some favourable reviews, it was not a hit. Early 1966 saw its release in New Zealand. 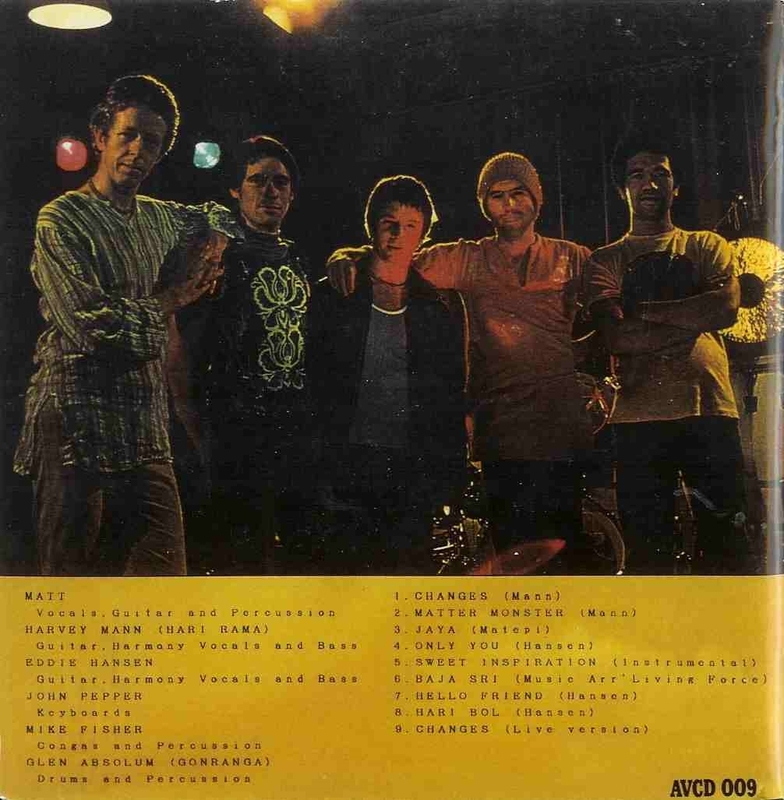 Receiving valuable airplay, it made it to number 12 on a local chart, but because they were only known around Auckland, it never featured on the national chart. But because of their new found fame, they started playing larger venues, to larger audiences. The group went back to the studio to prepare a follow-up single. Three songs were recorded, "It's The End", "S'pose We're Away" and "Don't Wanna Be Lonely Anymore". Unfortunately Decca didn't like any of them and rejected them all. That concluded their relationship with Decca. As an answer to this rejection, John Harris wrote "Social End Product". It was released on Allied International in September 1966 with "I'm Over Here" on the flipside. With the release of this single, controversy was never far from the group. Towards the end of 1966, Rick van Bokhoven decided to leave the group. He later joined a version of the Music Convention in 1969. Jim Crowley also felt like a change and gave up the drums to play the organ. In 1967, a new recruit was found to play drums. He was Eric Jackson, from the recently disbanded Jamestown Union. In order to be able to have a regular place to play, as well as their suburban dance gigs, they decided to open their own club. A venue was found in Remuera and was named the "Gallows". It was a short lived venture and because of noise complaints by wealthy neighbours was forced to close down hardly before it began. One last single was recorded for Allied International in February 1967. It was "I'm A Little Man" / "Sherlock Sweet". Almost immediately after that the group broke up. Jim Crowley moved to Sydney, playing drums for Matchbox in 1969, and the others drifted into other non music related careers. A CD of their songs has recently been released called "The Bluestars (not from Birmingham!)". Billy TK, Larry Waide and Maurice Greer. The Human Instinct's track here was a cover of a 1970 single from a short-lived Australian band called 'Mecca', which has thankfully been posted on youtube here. Apparently Mecca had connections to bands Chariot, Kahvas Jute, Planet Alliance and The Rayders and I need to investigate them further... The Human Instinct was a continuation of the group, the Four Fours. The transition to Human Instinct began in 1966 when Trevor Spitz, founding member of the Four Fours, decided to leave when the other group members wanted to embark on a trip to England to seek their fortune and fame. Trevor was replaced by 19 year old Maurice Greer. Hailing from Palmerston North, Greer had formed his first band when he was 14, and two years later joined Manawatu's number one group, the Flares Show Band. In 1963 Greer and his brother Frank opened their own Palmerston North nightspot, the Flamingo, and the following year Maurice formed the Big Three with ex-Flares Peter Knowles on guitar and Trevor Harrison on bass. It was with Big Three that Greer first used a restructured drum kit, allowing him to play while standing, to allow him to better handle lead vocals. In 1965 Greer formed the Saints, (not to be confused with the Christchurch Saints from 1962), with Doug Rowe on bass, Dave Hurley on guitar and Winston Cartelli on vocals. They played in the Manawatu area, but in order to get greater recognition they were soon gigging in Wellington, before moving up to Auckland, which is where Greer came to the attention of the Four Fours. He passed an audition to join the group and his first recording venture with them was the very successful "Go Go". Within six months he was on his way to England with the rest of the group. Dave Hartstone had been planning this trip for some time and arranged for them to take up a residency on board the Fairsky in return for reduced fares to England. It was during that voyage that it was decided that a name change was required to something more fitting for a group about to conquer the hip UK market. Human Instinct was the name decided upon. Three months would pass before they got their first paying gig, but in the meantime they caught up with all the new sounds and what was hip in the fashion world. At the beginning of 1967 they auditioned for a booking agency. Playing an impressive version of the Beach Boys classic, Good Vibrations, they were successful over a number of other hopeful groups and soon found themselves gigging regularly, even landing a support role for the Small Faces on a tour of Northern England. A recording contract was signed with Philips, who released three singles for them on the Mercury label. All songs were written by Dave Hartstone. The first release was "Can't Stop Around"/"I Want To Be Loved By You My Friend" in 1967. The "Can't Stop Around" song has often been referred to as "Can't Shop Around" and "Can't Stop Loving You". The single was not successful, but the follow-up "Rich Man"/"Illusions" received the following favourable review in "New Musical Express": "A pounding up-tempo piece with ear-catching lyrics and some weird guitar sounds. Self-penned and out of the ordinary". Unfortunately the review didn't help with sales and the third single release, a remake of the Four Fours "Go-Go" backed with "I Can't Live Without You" fared even worse. As a result, Philips terminated the contract, but they were immediately picked up by Decca for release on their Deram label. The first Deram single in 1967 was "A Day In My Mind's Mind"/"Death Of The Seaside" and this was followed by a Byrds cover, "Renaissance Fair"/"Pink Dawn" in 1968. Human Instinct once again failed to achieve recording success in Britain and Decca soon lost interest in them. Most of the two years the band had been in England was spent on the road. It was not a lifestyle that Bill Ward was happy with so he decided to return to New Zealand. Dave Hartstone had no plans for leaving England, while Frank Hay also decided to return to New Zealand for a break. Maurice Greer was undecided, as he had been offered the drummer's seat with the new Jeff Beck band, the line-up which also included Rod Stewart. In September 1968 he decided to return to New Zealand to reform a new line-up with the hope of eventually returning to England. Back in New Zealand Maurice replaced Bill Ward with a friend of his from Palmerston North, 21 year old Billy Tekahika, who had been with the Sinners. Billy was later better known as Billy TK. Frank Hay stayed for a short time, but when Maurice decided to take the band on a national tour, he decided to leave and was replaced by Michael Brown. 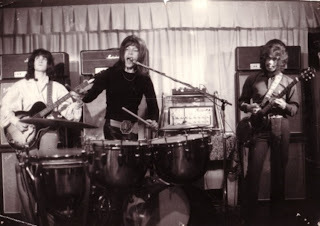 During the tour Michael left to join Dunedin band, the Klap, and was replaced by Peter Barton. After the tour, a short residency was taken up at the Bo Peep in Auckland, before Greer, Barton and Tekahika flew to London in February 1969 for a second assault on Britain. When they arrived there, they immediately bought a massive PA and lighting system and attracted an audience who wanted to experience the mountain of sound. The group's repertoire at this stage was all original. Although Greer handled most of the vocals, the focal point of the trio was Billy TK, who was becoming a guitar legend in his own right. The second visit only lasted three months, but during that time they did meet up with Doug Jerebine, previously with the Embers and the Brew. Doug was in England also trying to crack the London scene. He was there recording under the name Jessie Harper. Doug had impressed Maurice and in time Human Instinct were to record seven of his songs. On their return to New Zealand, they began recording an album at Astor studios in Auckland. About half way through it Peter Barton left the group and Larry Waide was brought in to complete the album. Released late 1969, the album was called "Burning Up Years". From it came the single "I Think I'll Go Back Home"/"You Really Got Me". Work then began immediately on the second album. It was recorded in June 1970 and released as "Stoned Guitar". From it came the singles "Midnight Sun"/"Idea" and "Black Sally"/"Tomorrow". These were the only two of their singles to be released with picture sleeves. Below is both sides of "Black Sally"/"Tomorrow". Larry Waide left the group after recording the second album, as musical directions began to change. His position was filled in February 1971 by former Underdogs bass player Neil Edwards. No sooner had he joined and the group was back in the studios to record their third album. This was called "Pins In It" and was released in June 1971. One single, "Rainbow World"/"Highway", was issued from this album. At the same time as its release, the group headed to Sydney for a three month tour. It was not a happy time for the band and at the end of the visit, Billy TK announced that he was remaining in Australia. This basically signalled the end of Human Instinct as a heavy rock band. Instead of replacing Billy with another guitarist, Maurice decided to go for a totally different sound and added Graeme Collins, previously with Dedikation, on keyboards. This configuration didn't last very long and in 1972 Maurice started again with a completely new line-up which consisted of himself, Martin Hope, from the Fourmyula, and John Donoghue, from Timberjack, both on guitar, and Glenn Mikkelson (also known as Zaine Griff) on bass. This combination concentrated on country rock. 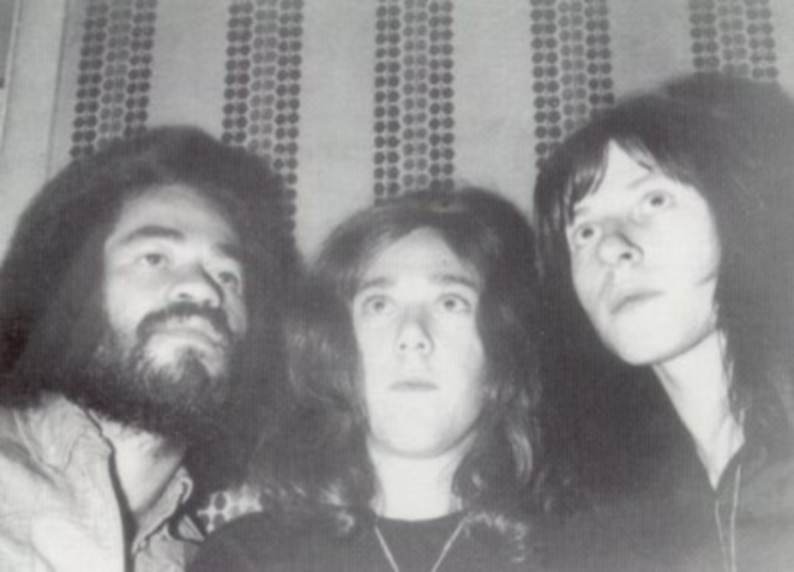 From late 1971, Maurice divided his time between his music and nightclub construction with his brothers, Barry and Frank. They were responsible for opening quite a few clubs in Auckland, notably Hatchett's, Granny's, Shantytown, Ruby's Saloon and Croft's, as well as quite a number of others around the country. Human Instinct released another single "Texas Sparrow"/"Children Of The World" in 1971 and two more albums. One in 1972 called "Snatmin Cuthin" and the other in 1974 called "The Hustler". 1972 saw a single on the Zodiac label called "Down The Hall On Saturday Night"/"Simple Man" and then in 1975 the final single on Family "Tropical Paradise"/"Dixie Holiday". Between 1972 and 1982 there were many combinations of the group. Others to have had a stint with the band were Phil Whitehead, Steve McDonald, Peter Cuddihy, Andrew Kaye, Chris Gunn, John Parker, Malcolm Weatherall, Len Whittle, Kevin Fury, Steve Hubbard, Murray Hancox, Stuart Pearce and Peter Woods. Around 1982, the Human Instinct was formally disbanded by Maurice Greer. After his time with the band, Billy TK went on to form Powerhouse. Recently the first three albums by Human Instinct have been re-issued on CD by Ascension Records, along with a CD of all of their singles. Here some info about Ray Columbus I found at Derek's Daily 45:"Ray Columbus was the first rocker to have a hit outside of New Zealand with his crack band the Invaders (his "She's A Mod" cracked the top of the Australian charts in 1964). A number of hits followed, and Ray & The Invaders were at the top of their game down under. Ray wished more than anything to get the band to the US, but was never able to get a work permit. However, around 1966 he married a California woman and ended up in San Francisco and local mods the Art Collection, featuring Richard Frost, became his backing group. I was fortunate enough to talk to Richard at the end of 2010, and he explained that the bay area had no idea what to do with this outlandish, extroverted New Zealand mod wildman! Ray self-released this record (with a re-recording of "She's A Mod" as the flip) and there is a very rare clip of the band performing this song in an SF teen club and they were incredibly powerful as a live act." The origins of Living Force can be traced back to 1973, when both Ticket and Space Farm were in disarray. Harvey Mann and Eddie Hansen had been friends for a long while, and had both tired of the hippie-drugs lifestyle. Along with Glen Absolum, they moved into an Auckland flat and began playing together, whilst cleansing their bodies of all the harmful products they had been used to consuming. They were also searching for spiritual happiness. After six months, Eddie Hansen went back to Christchurch, where he formed a short lived group called Rock Squad. But by the end of 1974, he was in Sydney playing with Phil Key's Band Of Light, with Billy Williams and Danny Davidson. In mid 1975, Hansen, Williams and Davidson had left Phil and returned to Christchurch, adding Trevor Tombleson to their line-up they formed Sky Pilot, a three month venture. While this was happening with Eddie, Harvey and Glen had continued practising with a variety of Auckland musicians. By mid 1975 they had settled on a line-up, adding Murray Partridge, Ivan Thompson and Gary Clarke, and calling themselves Living Force, they debuted at Maurice Greer's Auckland club, Croft's. Murray Partridge had been with Freshwater, Gary Clarke was from Carson and Ivan Thompson had been an original member of Dragon. They had only been going for a few months when Murray Partridge was replaced by Eddie Hansen. There were not many groups in New Zealand who could boast a guitar line-up equal to Harvey and Eddie, but it soon became evident that they were not into the style of music that fans had previously been accustomed. 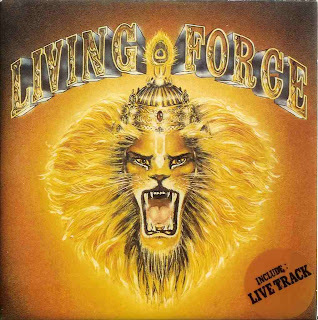 The lyrical content of Living Force was more concerned almost exclusively with spiritual matters, a joyous celebration of Krishna beliefs. Long, drawn out and mostly extraneous solos were the order of the day. Radio Hauraki had organised a concert in Auckland's Albert Park. One of the bands to play was Living Force, and after they had meandered along for over half an hour on one song, 90% of the 2000 strong crowd decided to leave. All that was left were the jubilant Krishna devotees. The boys in the band didn't seem to notice. Thirty minutes after the scheduled completion time for the concert, they showed no signs of finishing, so the power was cut off. Imagine doing that to Mann and Hansen in their hey-day. 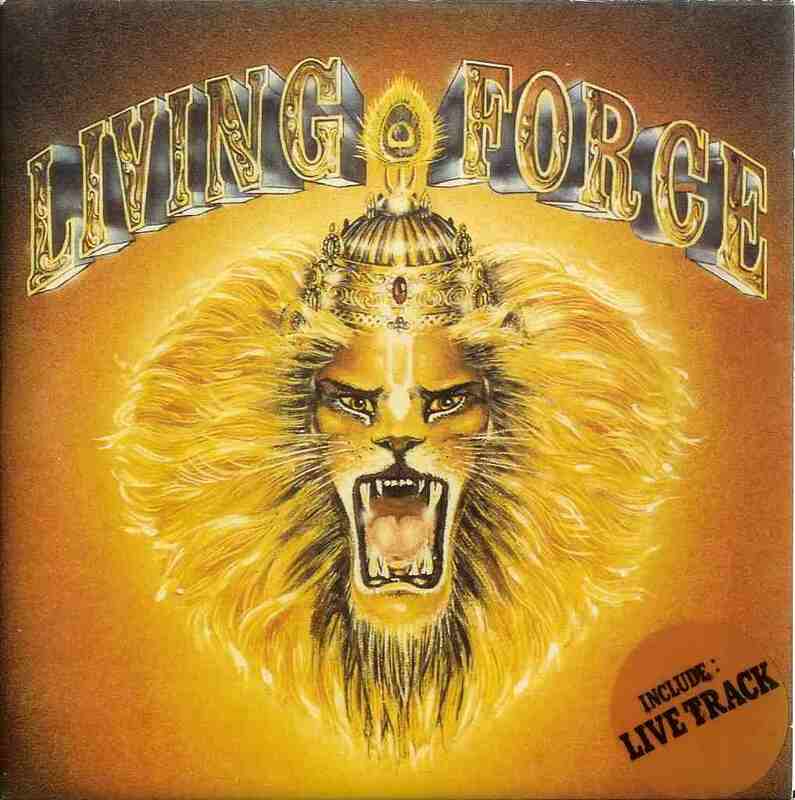 Living Force had a cult following, mainly made up of middle-aged hippies and Krishna followers. With this support, they managed to stay around until 1979, recording a self-titled album along the way in 1977 and releasing a single from it on the Atlantic label, "Jaya"/"Matter Monster". The group did have a number of personnel changes during their time. Ivan was replaced by John Pepper and when Gary left he was replaced by Matt Matepi. The other important change occurred when Eddie left mid-way through the album sessions, but was back with them by November 1977. In July 1978, they all flew to San Francisco, where they recorded an album's worth of material with Santana engineer Glen Kalatkin. Unfortunately nothing was to ever come from this material and they returned home in December with an additional member in tow. She was American vocalist Mona Hollguin. At this time Glen Absolum left and he was replaced by Mike Fisher. Hollguin soon returned to the States and in February 1979 Harvey Mann left and teamed up with Absolum to form Appaloosa. Before the end of the year, Living Force had disbanded. Thanks again for listening. Kia ora! It was a long ride to get to your monumental site, but can't be happy enough that I found it. Started out at utube with a friend's recommendation of Stone Axe's "Slave of Fear", then some surfing...the Bonehead Crunchers comps (which I couldn't find to listen to), some surfing and then invariably here. Oh lordy, I am going to be listening to music for some time, with all the comps you have put together. Apocalyptic find. Thanx so much for putting all these together and looking forward to many more. Thanks, It's taken me a few years to find it all and it'll probably take you a few to absorb it all too haha. Happy listening! Good luck Chris, I#ll be watching as ever! Hansen,Mann and Absolum played also in Jagad Guru album Mantra Electric.1977 or 1978 yer.